After Hurricane Irma, FEMA ran low on funds. Now FEMA will need more government funds after the wild fires out west. At this rate, the agency will be completely drained when another hurricane strikes, unless Congress approves additional funding this week. The Trump administration has asked lawmakers to add nearly $8 billion to FEMA’s coffers. A vote is expected in the House of Representatives on Wednesday, with the Senate to follow shortly thereafter. There is some speculation the Senate may attach a rider suspending the federal debt limit to the FEMA funding bill, which would require another vote by the House. Bloomberg reports FEMA only had $1.01 billion on hand as of 10 a.m. ET Tuesday, with just $541 million of that “immediately available” for response and recovery efforts. Currently, the spend rate at the agency as Hurricane Harvey assistance continues is $9.3 million per hour. 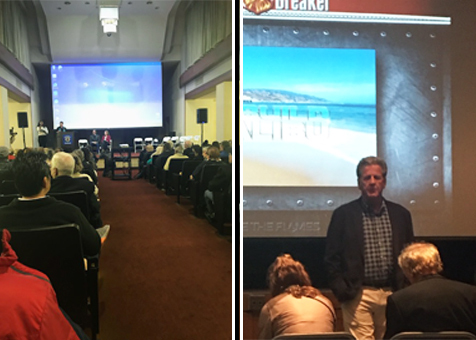 M-Fire's Founder, and one of the leading US fire resilient experts, delivered his message directed to FEMA and Capital Hill on Friday, in Malibu, at a town hall type meeting at Webster Elementary school. We knew it may not be well attended, especially since the government held meetings during the same evening, and were handing out funds and generous government assistance for toxic-cleanup and expedited building permits. The Wild Fire Resilient Building Program Message on Facebook live was targeting our legislators, to help our government reduce its exposure to loss in future wild fires. In particular, the tone was about being in solidarity with FEMA and the Insurance industry, to help lower risk and loss from future wild fires. Mr.Conboy is looking to FEMA to mandate this certified Resilient Program before funding another rebuild which does not embrace the newest in Applied Fire Science and improve the building codes. Facebook live had many viewers, but the final broadcast will be edited down next week to be sent off to Capital Hill where hopefully the current Administration will call for a Wild Fire Summit with experts before any rebuilding begins.